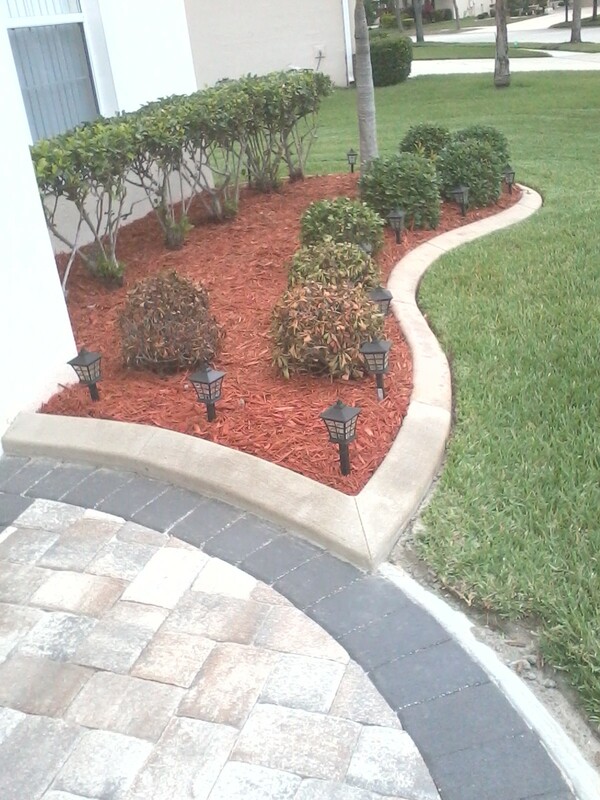 One of our clients in Orlando asked to have the center island of his driveway curbed, because – you guessed it – every time it rained, the mulch flowed out of the center bed and all over the driveway. Not only was it messy, but it created a safety hazard as well. 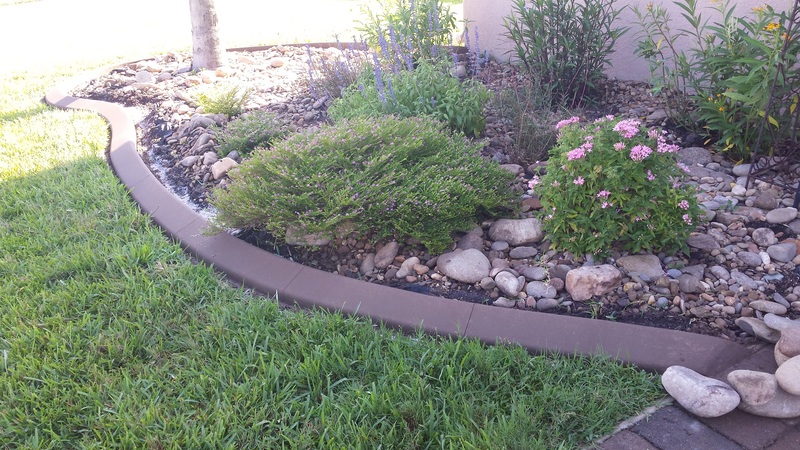 Curb Appeal Concrete Landscaping Borders came in and installed this curb directly on the edge of his existing driveway. 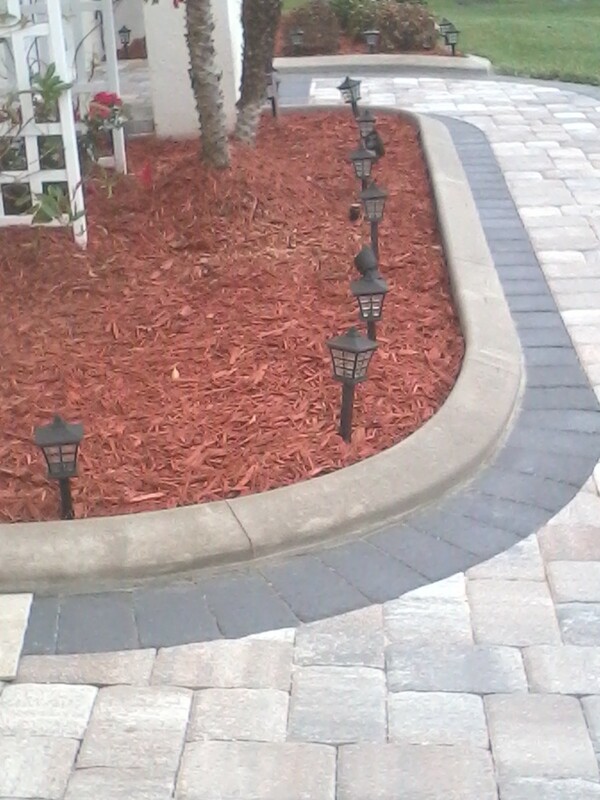 Now Mr. A. now has a tamed his flower garden with borders keeping the mulch exactly where it was intended! Clean & Simple! For more information on how we can help solve out-of-control beds like this, please give us a call! 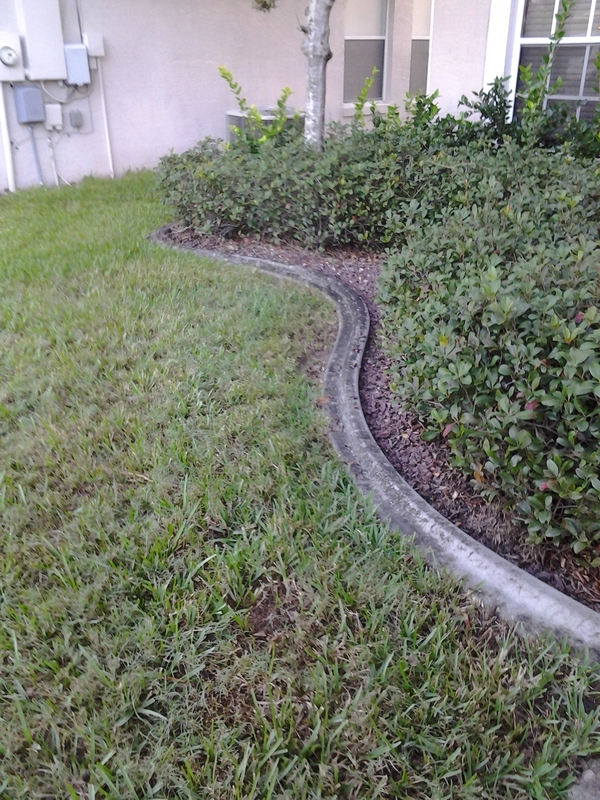 We serve most of Central Florida, and we give free estimates! As some of you know, we’ve added a new service to our business. 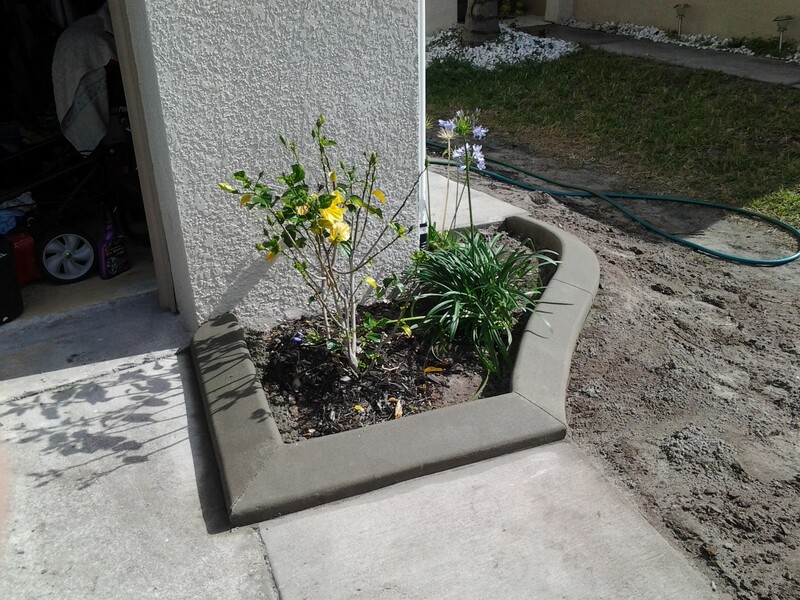 We will actually come out to your home to clean and seal your existing borders to give them new life; clean up and brighten, as well as protect your curbing from the elements that are endured over the years. 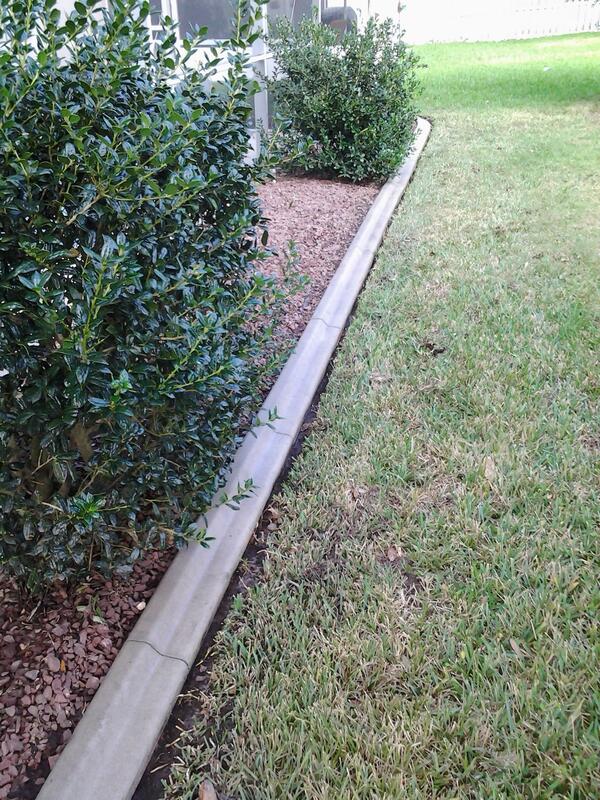 Here are a couple of before and after photo’s to show you the difference! Wow! They look brand new! Interested? We can help you too! 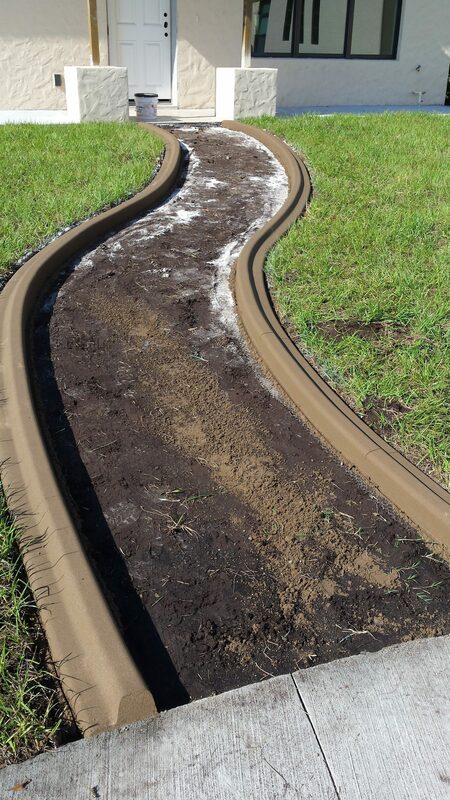 We will come out to your home to clean the borders, then apply a super sealant; non-yellowing, clear super sealant directly to your borders. 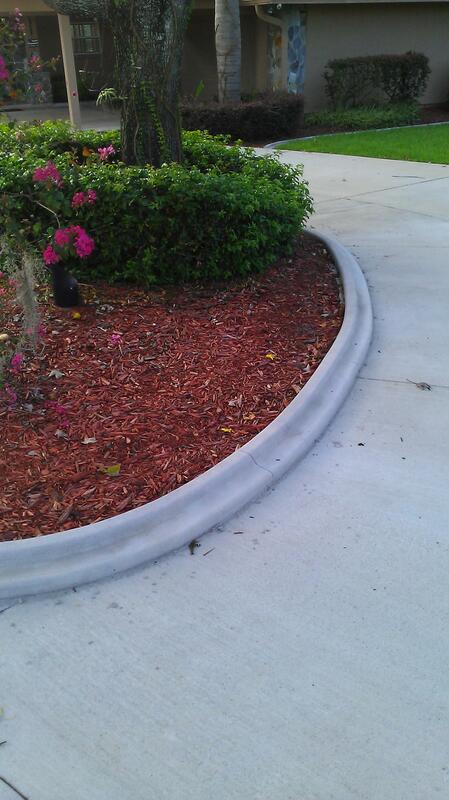 We don’t water our sealant down (like many other companies that want to spray it on), we hand-paint the sealant directly onto your curbs so they get 100% of the product protecting your borders from the elements in Florida.